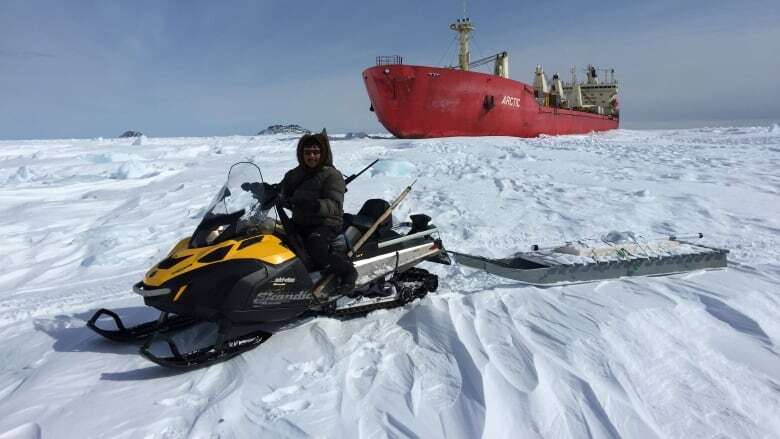 The SmartICE Project — led by Trevor Bell of Memorial University — studies ways of predicting the conditions of sea ice to make it safer for northern people to travel on it. A team from Memorial University of Newfoundland has been honoured by the United Nations for its research into climate change, and its sea ice monitoring system. Of the 19 groups awarded the UN's 2017 Climate Solutions Awards, SmartICE — led by Memorial University geography professor Trevor Bell — was the only group to hail from Canada. Bell's SmartICE project studies ways of predicting the conditions of sea ice to make it safer for northern people to travel on it. "People who live on the land, and are closely connected with the land really have observed the changes that have been going on in the north for decades now," Bell said. "Climate change is not something that's going to happen. It is happening." According to Bell, higher sea levels, more intense storms and decreasing amounts of sea ice are examples of changing processes in the natural environment that are having real impacts on northern communities. Bell's research is helping to find solutions. "We're always hearing about the polar ice cap and how it's shrinking, but for Canadian communities in the north, the 50 or 60 of them, what's really important is what's happening on their front step — on that coastline," Bell said. "And it's changing dramatically." "I think a lot of these communities are suffering badly from lack of access to their natural lands, to food that feeds their families, to declining opportunities for the economy," he said. Bell is working on tools to help northern residents adapt to unpredictable conditions. "In Nain in 2009, it rained the entire month of February almost, when it should have been –20," he said. "That turned the surface of the sea ice into slush. It really impacted people." People lost their confidence in traveling on the ice, and they weren't able to get seals or caribou. "One in 12 of them actually experienced falling through the ice. That's a huge statistic," Bell said. "In the North they are trying to deal with these issues, and we need to give them the tools into their own hands to solve and adapt to those issues."